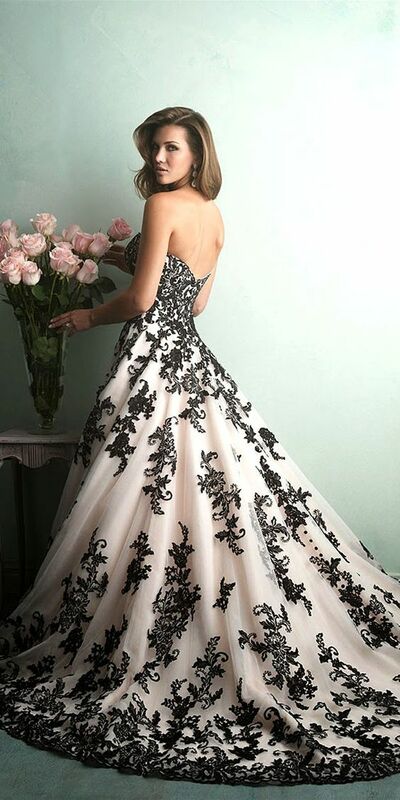 Here's another ball gown that's full of life and unique detailing. 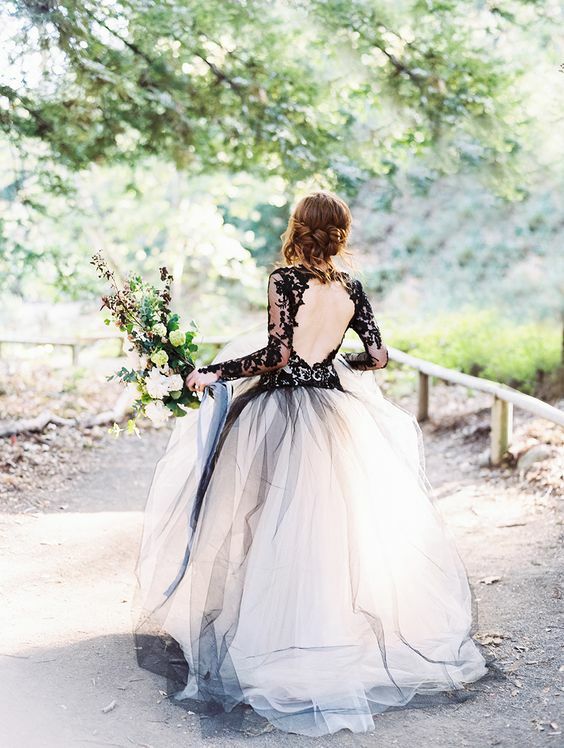 A black lace bodice contrasts beautiful with the full, white tulle skirt, don't you think? Here's a beautiful, winter design that shows off your curves while adding some voluminous drama as well. And then we have another gown that will show off your figure and show off all the beautiful textures and details of the lace at the top. Of course, you can always sparkle too in this glittering ball gown. This design is that of actress Shenae Grimes and we're loving this taupe and black, Vera Wang creation. A classic silhouette but one that's been dipped in black, the color gives it an instant bout of drama. 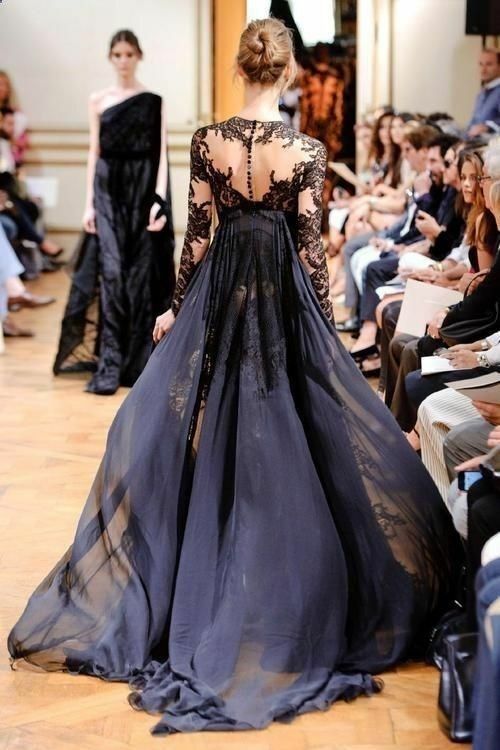 Check out this design and all its gorgeous artistry, from the sleeves to the flowing skirt! You could always go super nontraditional and dip yourself in some stripes, it's modern and quite youthful too! And finally, we're showing off another black and white design filled with traditional floral detailing.